Over the past 30+ years, Hardwood Mechanic has restored hundreds of wood floors in Maryland, DC and Southern Pennsylvania area. We have worked hard to establish our great reputation for superior hardwood floor sanding, refinishing and installation craftsmanship, as well as custom inlaid hardwood borders. It shows in the refinished hardwood floor projects we have completed and our countless happy flooring customers. New hardwood is a pleasure. Are you ready to add beauty and value to your home or business? 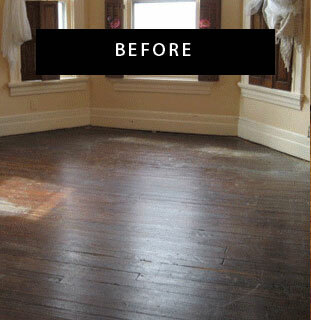 Refinishing or installing a hardwood floor is an investment worth making. Hardwood adds to the appraisal value, beauty and enjoyment of your home. Our family-owned business employs and trains our staff to meet our high quality standards. Our folks have the knowledge to answer your wood floor questions and the expertise to do the job right. Old hardwood is a treasure. Are you wanting to discover the true beauty and value laying under your carpet or vinyl covering? 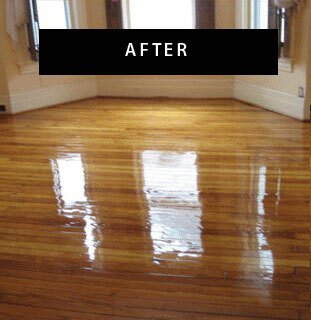 We sand and refinish old floors to stunning results. Visit our services page for more detail on all of the wood floor services we provide. Please contact us to discuss your hardwood floor installation or refinishing project.